Born and raised in suburban areas around Bielefeld, Germany, 4 guys in their thirty-somethings are still trying to save your day. 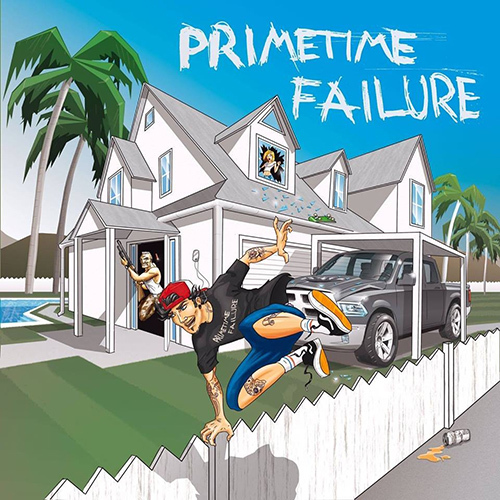 Even though their sound can’t be pigeonholed...stop naaaah damn it... Primetime Failure simply plays that kind of "Skate Punk" a whole generation grew up on. Remember when you bought that "Mons Tour" longsleeve? Or the day you first heard all those songs on your older brothers' mixtape? Remember nearly breaking all your bones trying to skate? Remember the days you thought it would be like this forever? ... 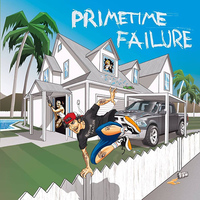 If there was a slapstick movie on your salad days in the ninetees, Primetime Failure would write the perfect soundtrack to it. Released on light blue 12" vinyl.